As you know I have been on a search to find the perfect Margarita cocktail since our US adventures of 2011. Although I think it will be hard to beat the Ginger Margarita's from Spice Market in New York, I recently found one in Sydney that was really scrummy and one of the best Margarita's I have had in a while. 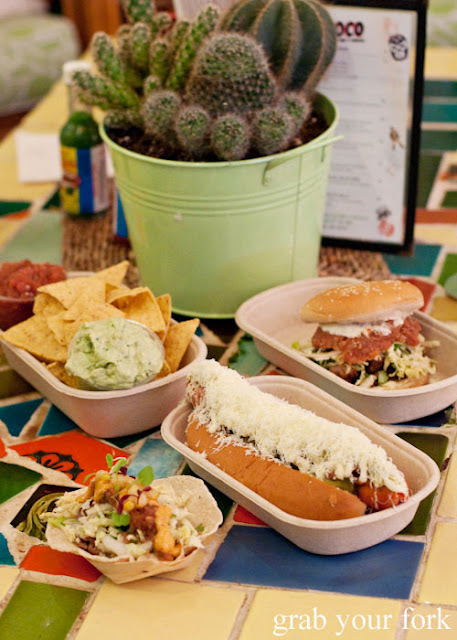 Husband and I recently went to El Loco with some friends for a cheap and cheerful meal and we were not disappointed. 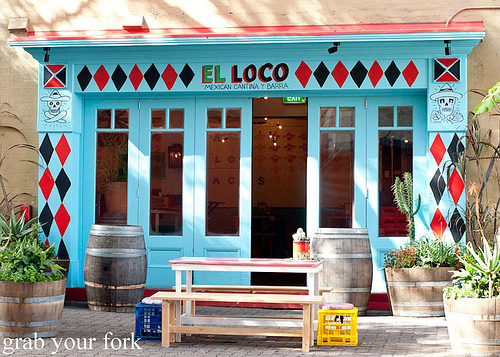 El Loco is a new pop-up restaurant from Merivale that specialises in Mexican style street food. As soon as I saw they had Margarita's on the menu I just had to have one. 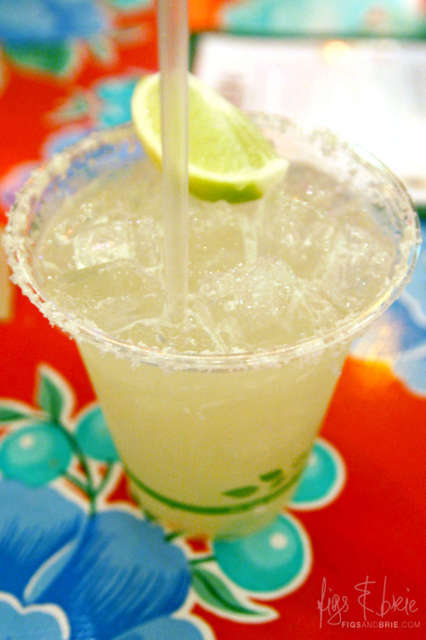 I ordered the Classic Margarita which is made from Herradura Blanco Tequila, Cointreau, freshly pressed lime juice and organic sugar. It was YUM YUM. It came in a plastic cup, to suit the street food concept, which just adds to the charm of this relaxed venue. The food at El Loco was also great. I would very much recommend the $5 tacos (any of them) and the 'Al Pastor Pork Torta Sandwich'. Note: Apologies for not using my own photos, the lighting was really bad the night I went and I couldn't get a good shot.